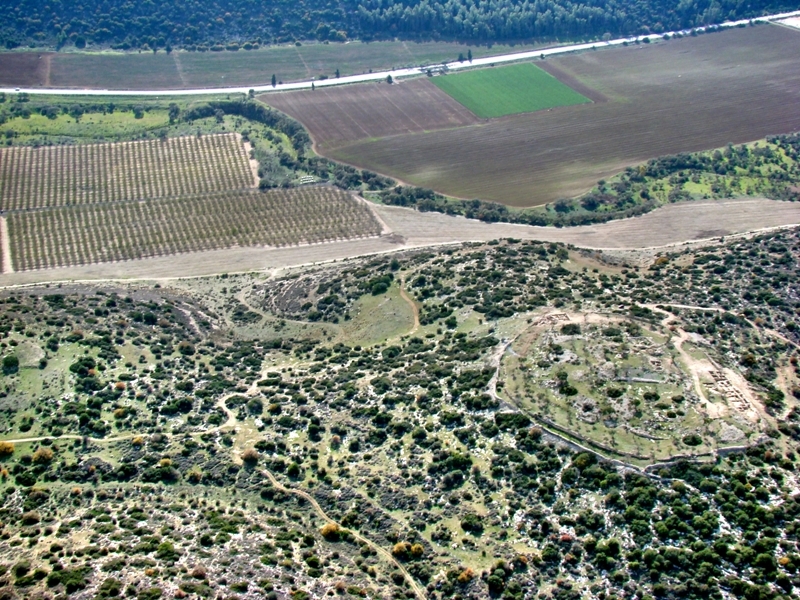 Khirbet-Qeiyafa, the Elah Fortress overlooking Valley of Elah. Photo ©Leon Mauldin. You can see the circular tel on your right in the photo. It was in the valley below that David killed Goliath. This entry was posted on Monday, October 18th, 2010 at 8:11 PM and is filed under aerial photos, Archaeology, Bible History and Geography, Bible Study, Travel, Uncategorized. You can follow any responses to this entry through the RSS 2.0 feed. You can leave a response, or trackback from your own site.